My dad has had the most awesome pincushion cactus growing in the middle of his lawn for years. Every year it produces brilliant pink flowers that only last for a day or 2, so you have to be careful or you will miss the flowers. This year was a particularly vigorous one for his cactus. 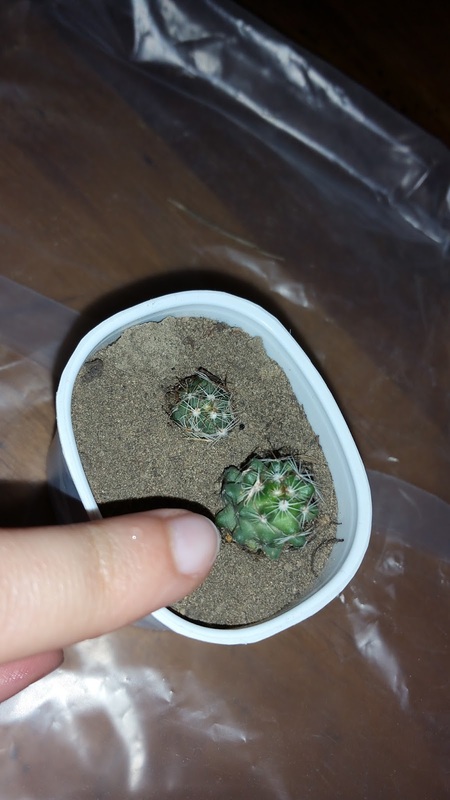 It produced numerous babies and I decided to take a couple and start a cactus of my own. 1. Select the babies that you want. It's best to choose a couple babies that are small and on the very edge of the cluster. I chose 2 loosely attached babies. Using a sterile, sharp knife I then sliced through the root that attached the baby to the mother. Make sure you have some of the root attached on your baby. 2. This next step is quite important. Take your babies and place them on a dry surface out of direct sunlight for 24 hours. 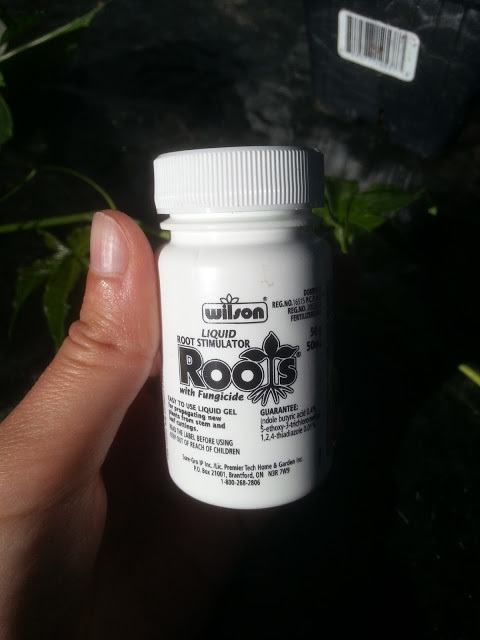 This will allow the root to dry out and prevent rotting when you go to plant it. 3. While you wait for the 24 hours to pass, you can prepare your pot. Cover the bottom of your pot with stones for drainage and then fill your pot with cactus soil. 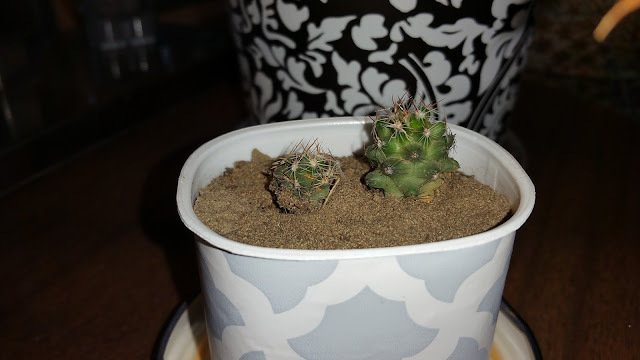 I just used some soil from outside where the cactus was growing. Our soil is very sandy here. 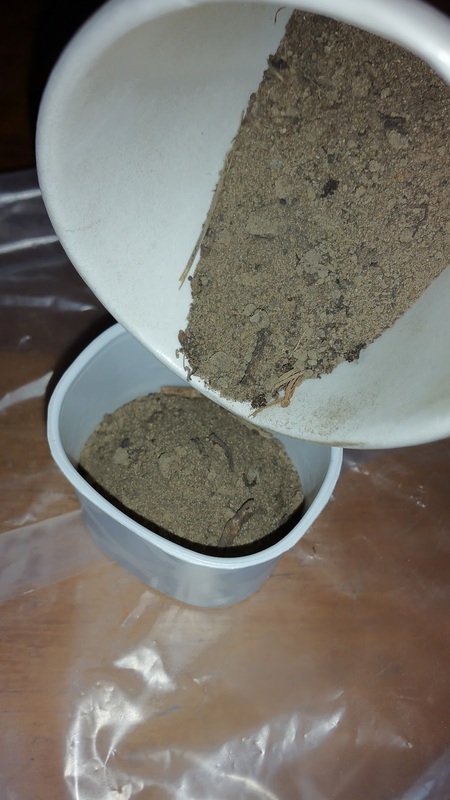 If you don't have sandy soil in your area, then I would strongly suggest using cactus soil from the nursery. 3. After the 24 hours have passed, it is time to plant. 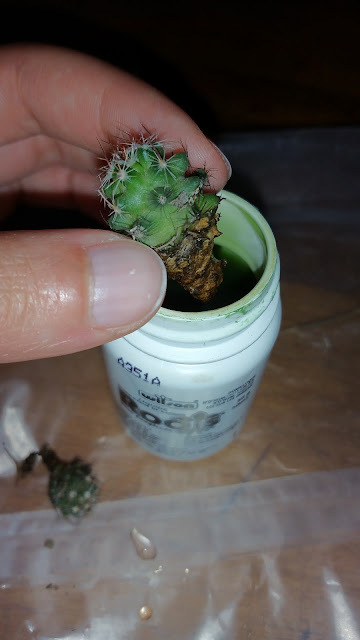 Dip the roots of your cacti in rooting hormone and let the excess drip off. 4. 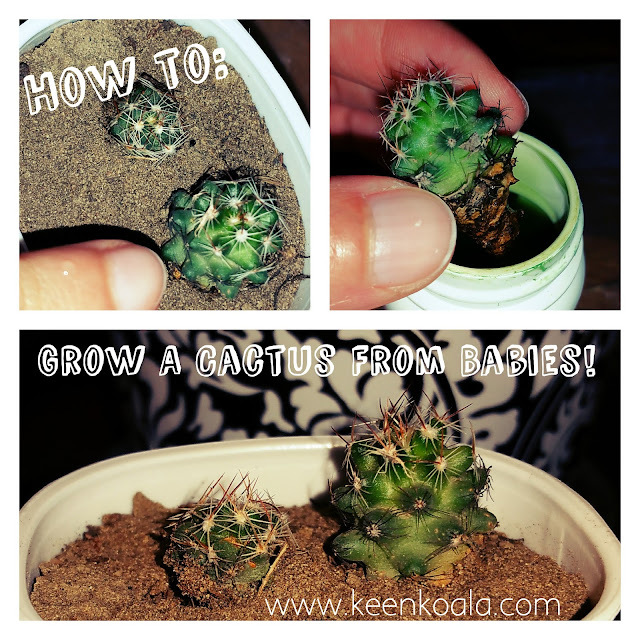 Gently wiggle each cactus down into the soil. 5. After another 24 hours, give your cactus a good drink of distilled or rain water. 6. Enjoy your new cactus!